Many beginners often struggle with one question in mind- how to use binoculars? And that’s an excellent quest to all. 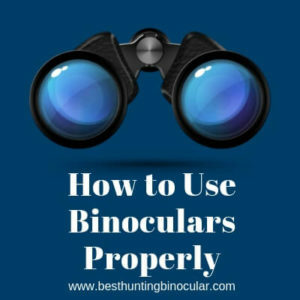 Anyone either beginner or professional need to know how to use a particular or different binocular properly. Binoculars are different. Most binocular comes with some pretty basic things like focusing weel, prism roof, eye cups that you need to adjust more or less. But some high tech binoculars includes some more settings that count for the perfect view to see. So, we are thinking why not we start with knowing your instrument- the binocular first? Take your binoculars out and carefully check with us. Things that we often do or regularly become second nature and we do them without even thinking about it. It is because of this that I probably took it for granted that everyone would know how to use binoculars and so I never really thought about writing an article for BBR about the subject. So binocular comes with two eyepieces with objective lenses. The objective lens is responsible for viewing an object and how well the view would depend on the lens size and type. The lens attaches to a wide bridge which includes a magnification wheel or buttons and probably some other buttons for different features. There are two types of lenses attach with the barrel. One larger lens for view the front and one small that is you look through. The pivot incorporate in the center of a hinge (focus wheel/dial)to set the focal distance. Some fixed focus binos do not include the central focus wheel. To calibrating a binocular to match your vision, there is a diopter ring or dial located on the right eyepiece. The eye vision varies user to user. That thing helps to adjust it with the user need or preference. You binos should come with some other things like a carrying case, neck straps, and a cleaning cloth. The shoulder or neck straps may or may not attach to the barrel. Moreover, you will find two lens caps for the objective lenses. These protect the lens from rain, dust and sharp outside objects. Some lens caps are attached to the eyepiece some are threaded through the neck straps. How to Focus your Binocular? Focusing a binocular is pretty basic and almost the same for every binocular. If focus accurately you will see a distant object more clearly, large and bright. Follow these things given below to focus a binocular. Uncover the objective lenses and cover the right objective lens with your hand or close your right eye. Now focus on some object in a fair amount of distance and turn the main focus dial until you see it clearly with your left eyes. When you are satisfied with the view, you can stop turning the dialing on. Now cover the left lens with your hand or close your left eye and turn the diopter dial. The diopter dial is located in color to the right eye-piece. Turn it on or off until you see a sharp image. Now its time to look through the binocular with your two eyes. The view you are seeing should be perfectly bright and clear. From now all you need to adjust the central wheel to focus on different objects from a different distance, the diopter is set now. Remember one thing, don’t touch the glass of the lens while focusing. If you accidentally touched it wipe it with the cleaning cloth immediately. The natural role is to find your object with a bear eye first and then focus it with your binocular. You will save more time with it and less headache. If you always glue the eyes on binocular it will make your eye tired. Or you can start with a large object (Tree, tower, lighthouse, etc.) and scan its surrounding to look for bird, animals or other interesting objects. How to use binoculars with glasses? It’s important to know how to use binoculars with glasses if you regularly or occasionally. Many of use binocular wearing sunglasses as well. So if you a person with all spectaculars you need two things in your binocular. These two gives you proper space to look at an object through the eyepieces. The focusing process is the same. So we decided to tell you something about this essential objects only. Eye relief is essential for every binocular user. It gives minimum distance in between your eye and the ocular lens on the binocular. Quality binoculars come with adjustable eyecups so you can set it according to your needs. These give you the distance right to see the full image without any bark rings on the corners. If you don’t use glasses, the usual setting for you has the eyecups extended utterly. Different user comes with a different shape of the face. So having adjustable eye cups and will be more useful to get things right. How much eye-relief is suitable enough for glass wearers? You should get the maximum amount of eye relief if you wear glasses. Because the glasses sit in between your nose and a binocular increase the distance between the eyes and the lenses. Furthermore having a fold or twist eye cups is a significant advantage for glass wearers. So look for the feature too. Most of the eye relief comes with 100 mm eye relief. It’s useful for money glass users but rests. Get a long eye relief from 14-15 mm at least. You can also have binocular with 17-21 mm eye relief for more spacing. Knowing you’re binocular is essential as well as how to use it well. But before that determine what job you are going to do with it correctly. Some people like watching wildlife or bird even start with binoculars. Some people buy only it for fun adventures. Your job also tells a lot about what you need in this optical. If you spend more time with your binocs, look the comforter facts (like weight, grip, etc.) including safety features along with the magnification and lenses.